Why you should get commercial insurance from an independent agency. As a business owner, you want to secure the comprehensive insurance protection that your company needs. However, there’s no reason to limit yourself to big, corporate insurance providers. In fact, many small business owners actually have a better time securing the coverage they need from a local, independent insurance agency. Here are some of the ways in which securing coverage from an independent agency can benefit you. When you work with a big-name insurance company, they can only offer you their own insurance options. However, independent agencies are not limited to a single company’s coverage offerings. Independent agencies actually represent many different insurance carriers, meaning they can offer their clients a wide array of coverage options from a myriad of insurance providers. This increased variety makes it easier to find the perfect policies to fit your company’s needs and budget. When you work with a major insurance company, your agent is always pushing you to secure upgraded or additional coverages. This is because the more coverage you have, the higher the premiums the company can charge. In contrast, independent agencies are not beholden to a specific insurance company. This means that their clients are their main concern and priority. 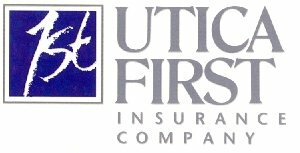 When you secure coverage through an independent insurer, you can rest assured that your agent has your company’s best interests in mind. Finally, working with an independent insurance agency usually translates into a more personal experience. When you go through the underwriting process with a big-name insurer, things are very standardized and impersonal. In contrast, your independent agent will take the time to really evaluate your needs and your company’s risk factors. From there, they will search through all their coverage options until they find the perfect policies to meet your business’s needs and budget. When you secure coverage through an independent agency, you can feel confident that you have the right insurance to protect against your company’s unique risk factors. These are some of the reasons why you should secure commercial coverage through an independent insurance agency. Are you looking for an independent agency in Scotia, New York? Turn to the experts at Scautub Agency. We are ready to assist you with all your coverage needs. Contact us to get started today.